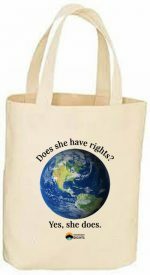 You will receive a Movement Rights tote bag, Does she have rights? Yes, she does! 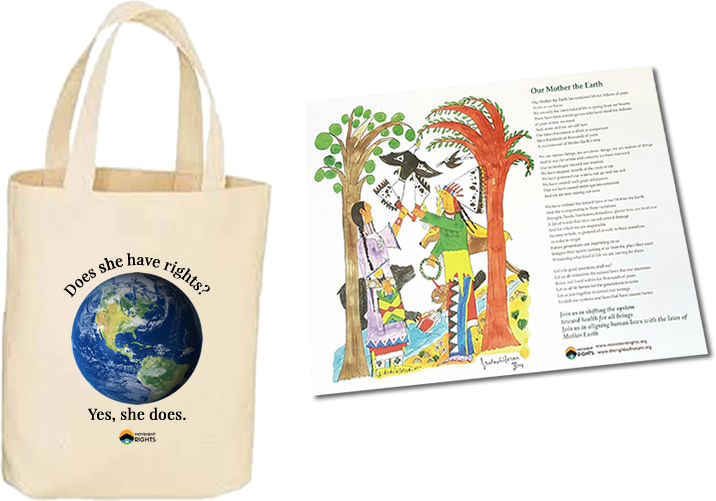 You will receive an exclusive print by artist and actor, Michael Horse with a poem by Movement Rights’ Pennie Opal Plant suitable for framing. Global Exchange is the fiscal sponsor of Movement Rights and is tax exempt under Section 501(C) (3) of the U.S. Internal Revenue code. All donations are tax deductible in the United States. Tax deductible checks should be made out to “Global Exchange”. Please put “For Movement Rights” in the memo field.